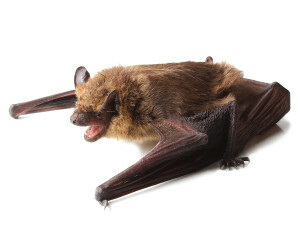 The only way to protect your home or cottage from a big brown bat is to completely seal the structure. Bats can fit into holes 1/3” in diameter; basically the size of a baby finger. Inspections are required for all bat work as every structure is different and therefore the extent of sealing is different for each structure; some of this inspection you can start on your own. Dawn and dusk are two opportune times of the day to sit outside your home or cottage and watch for bats emerging or returning. All sides of the structure should be checked. One way exit tubes are placed at the main entry points and all secondary entry points are sealed. These tubes are left on for approx. 2-4 weeks to allow all bats to exit. At this time, a final seal and inspection is done. The seal is warrantied for one year, at which point you may choose to have the work re-inspected and guaranteed at a cost of 20% of the original job cost. All bat work must be done in spring or fall. Their young are born and learning to fly between mid-June and mid-August; therefore sealing cannot be done during this time of year. There are two types of bats that live in the Peterborough, the Kawarthas and the Haliburton Highlands: Big Brown Bats and Little Brown Bats. How do I know it’s a Big Brown Bat? Accumulation of their droppings can create an ideal environment for the growth of Histoplasma capsulatum, a fungus that can cause lung disease in humans. Severe cases can be fatal.